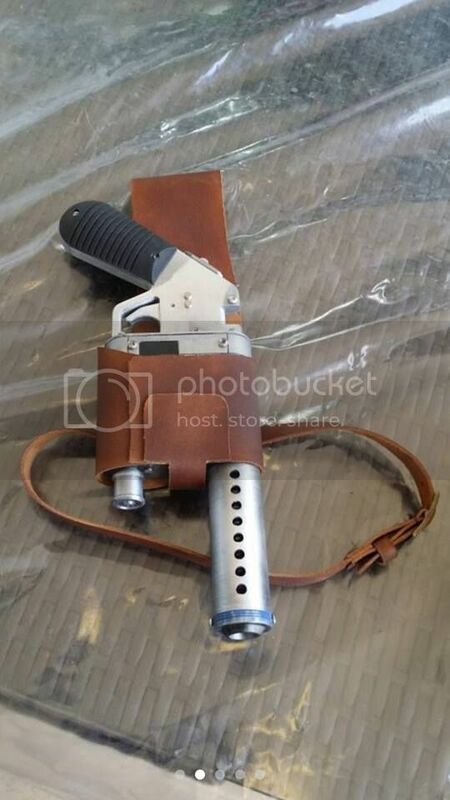 I see a lot of people making replicas of this version of Rey's blaster holster (first two pics), ostensibly seen at some point during the Force Awakens, but I have combed through screencaps of both TFA and TLJ, and I cannot for the life of me find an example. 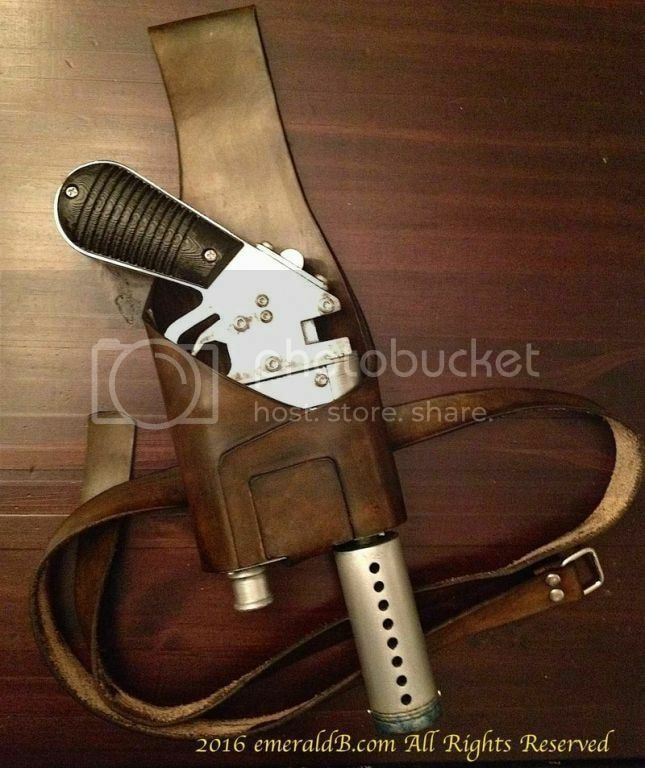 The only version I can seem to find solid documentation for is the one that is stitched along the edges and has a muzzle strap attached with two rivets (third pic). 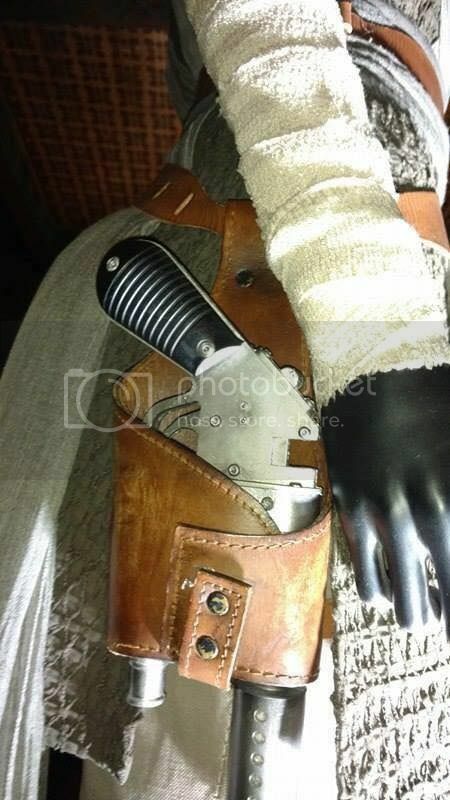 Can anyone tell me what part of the movie(s) this alternate version of the holster can be seen? Or if there is indeed an on-screen example of it at all?